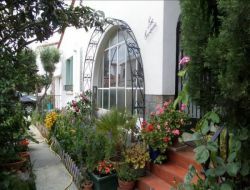 Holiday home with a garden n a quiet place, with a kitchen, a living room, a veranda (dining room) and 2 bedrooms. The car parked in the dead end. 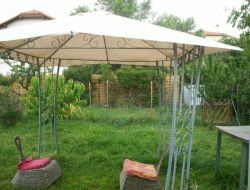 You will be in 5 mn from Perpignan in a market town where you will find everything on the spot. The sea is at 25mn and the mountain starts at 30mn. Numerous events and activities on site or near you will allow you to fully enjoy your holidays. 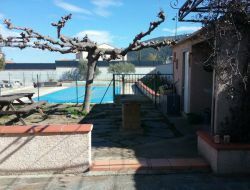 For your holidays in Rivesaltes, in the Pyrenees Orientales, rental of a town house on 2 levels, for 6 people, with garden. 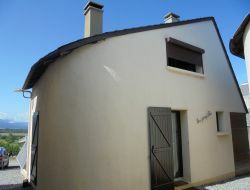 Holiday rental for 6-7 people, quiet, near Font Romeu and ski resorts, Spain and Andorra: Semi-detached chalet of 55m², with 2 bedrooms, located 800m from the village center and all shops, 3km from the thermal baths, 6km from the ski slopes, 8km from Spain and 40km from Pas de la Casa (Andorra). Fireplace, secured ski locker, set bench and outdoor table, 2 parking spaces at 10m. 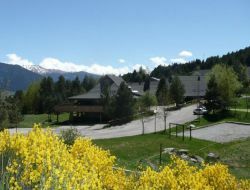 Residence of tourism at 5km from Font Romeu, in the Pyrénées-Orientales. 60 comfortable rooms, dining rooms and panoramic terrace, friendly and family atmosphere, in 2 km from ski resorts "Pyrenees 2000", starting hikes and cross-country skiing of the Chalet. 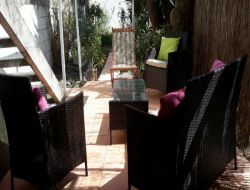 Holiday rentals or long durations (spa treatments) for 1 to 2 people without pets on the ground floor, near the city center. Beautiful environment. Walks and municipal swimming pool nearby. For calm people. Villa with private pool located in a quiet residential area between sea and mountains, with swimming pool and barbecue, a perfect place for serene holidays ... On the foothills of Mount Canigou, in the heart of the Pyrenees Orientales, the village is only 5 minutes from Vinça where you will find a wide range of shops and a lake with its beach and activities. 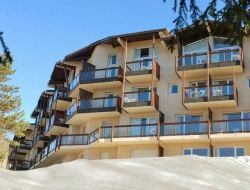 Rent a holiday apartment in a beautiful residence in Font Romeu, where sun and mountain are king in the heart of the internationally renowned sports and ski resort! Seasonal rental for 2 to 4 adults, and 2 children, fully equipped, 10 minutes walk from downtown, facing south, with stunning views of the valley. 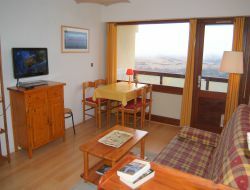 Tourist residence classified 2 *, near Font Romeu, offering an incomparable panoramic view of Canigou at Cambre d'Aze. An ideal destination for nature lovers. Hiking or cycling, discover a wonderful region. 36 rooms and 10 family rooms allow you a comfortable stop in the Pyrénées Orientales. Holiday rentals in the heart of the resort of Font Romeu, the residence is located close to the various sports facilities and shops. 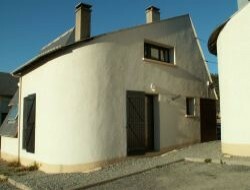 It faces south / southwest and offers a beautiful view over the Cerdanya.